Salter Bathroom Scales Buyer's Guide - Which? When it comes to bathroom scales, Salter is a household name. Below we explain more about the scales it offers. With origins that can date back to the 18th century, Salter is a firmly established name in the world of scales. As well as bathroom scales, it also manufactures a range of kitchen scales, plus a range of other kitchen gadgets. Read on for more on Salter scales, or click to jump straight to our full bathroom scales reviews. Salter makes a range of body fat scales in different designs ranging in price from around £20 up to £90. Body fat scales do more than your typical mechanical or digital bathroom scales – they measure your body fat percentage to help you differentiate between fat loss and weight loss. They also often give you other readings, such as body water percentage and muscle mass. Some pricier Salter body fat scales can be connected via Bluetooth to your smartphone, so that you can then monitor your progress via an app. We’ve tested and reviewed two Salter body fat scales against a selection of models from other brands. Head to our reviews of the Salter 9141 WH3R Glass Body Fat Analyser and the Salter Stow-A-Weigh 9147 bathroom scales to find out how they compare to other scales for accuracy and ease of use. Up to four people can store their information on each of the Salter body fat scales we’ve tested so that progress can be monitored for each user. The Salter Stow-A-Weigh also comes with a storage stand, designed to help you save some space on your bathroom floor. Our researchers have also tried out the Salter Curve Bluetooth Smart Analyser. Along with providing a weight measurement, it also offers an array of other readings, such as body fat, body water, muscle mass and basal metabolic rate. It can also store information for eight different users. Read our first look review of the Salter Curve Bluetooth Smart Analyser to see what we made of it. 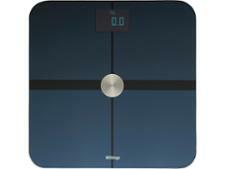 If you’d prefer your bathroom scales to tell you your weight and nothing more, Salter also makes a range of mechanical and digital scales. 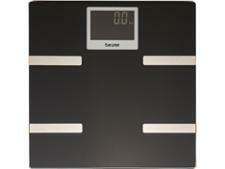 You can spend from around £10 up to £70 for a set of Salter mechanical bathroom scales, though most cost less than £30. Pricier models tend to be made of more robust material, have a more stylish design and have a larger dial to display your weight. 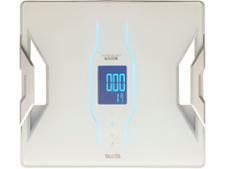 Most Salter digital bathroom scales cost between around £15 and £30. More expensive models might have a larger screen from which you read your weight, or the platform might be made of glass rather than plastic.